Traveling abroad isn’t the only way to gain cross-cultural competency, for students or for teachers. 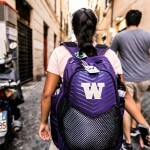 Faculty are exploring new methods to connect UW students with peers in different parts of the world, without leaving campus. Meanwhile, the Center for Teaching and Learning is developing new ways to support international instructors and leverage our international classrooms. 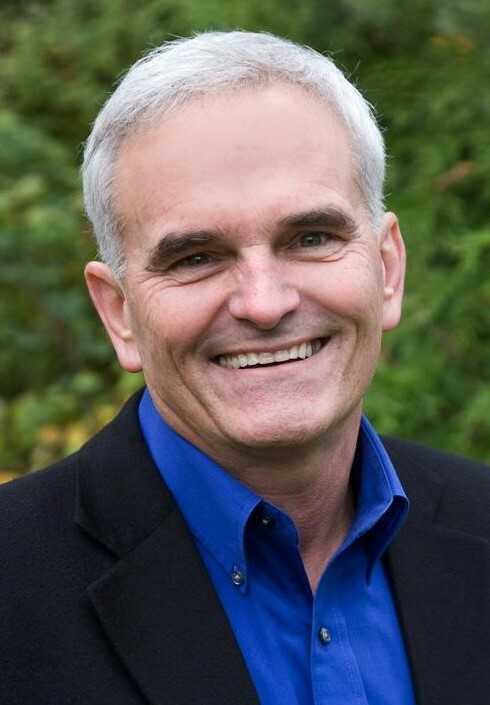 Greg Tuke, Lecturer at UW Bothell and leader of COIL workshops at universities around the U.S.
One way is through COIL: Collaborative Online International Learning. Sometimes called “virtual exchange,” COIL refers to any method of using technology to bring global experiences into classrooms or curricula. In COIL courses, faculty in different nations loosely sync their curricula so that students collaborate on projects in international groups. COIL can allow students who may be bound by time or cost from studying abroad to have rich international experiences — without leaving campus. 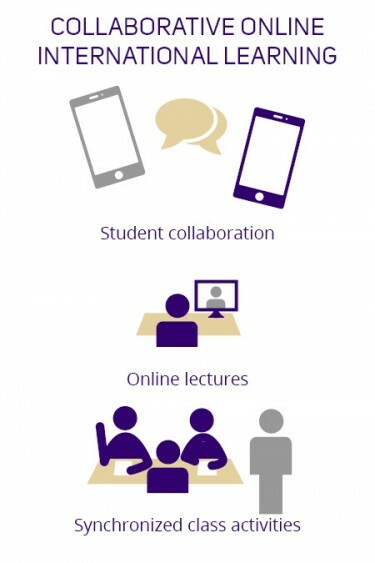 Online fluency and cross-cultural teamwork have become highly valued skills in the workforce, “and those skills take practice,” says Natalia Dyba, director of Global Affairs at UW Bothell. For students across the globe, COIL methods are gaining traction to support those essential professional skills. UW was one of the first U.S. universities to offer institutional support for COIL courses. In 2013, UW Bothell launched the COIL Fellows program with seed funding from the Jackson School for International Studies (and continued support from UW Bothell Academic Affairs). The program provides support for faculty on all three campuses to develop and teach COIL courses, and a community for sharing ideas and resources. Now, over 25 COIL courses have been implemented on all three campuses in a wide range of disciplines. On the Bothell campus, in the 2016-17 academic year, students in COIL courses outnumbered those who studied abroad for the first time. Tuke leads COIL workshops for instructors around the world, and while still in early stages, the UW remains “ahead of the curve,” he says. “There are few other universities that have so many faculty trained and doing COIL courses.” It makes sense that COIL is spreading. It can allow faculty to develop international aspects of their research, and universities to offer cost-effective global experiences to many more students than could otherwise have them. 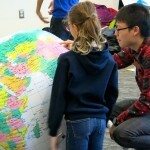 COIL methods foster collaboration: between students and faculty in different parts of the world, and among UW students. Stock Photo. Using COIL is simpler than you might think, Tuke says. It’s ideal to use the simplest technology available in participating countries and platforms that students are already using. 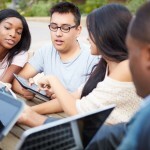 Tuke’s students interact mostly via instant messaging and closed Facebook groups, through which they discuss ideas, problem-solve and share videos. Course planning can be more challenging, as it means figuring out where aspects of curricula might overlap with different courses, taught by different instructors in different countries — but the payoff is worth it, says Tuke. He is currently teaching a course entitled Taking It Global: The Great Debates East and West as part of UW Bothell’s first-year curriculum. Through international faculty networks, he connected with a professor at the University of Al-Qadisiyah in Iraq, who is teaching an advanced English course. They decided to link courses, using the same content to teach English at the same time as critical thinking, research and collaboration skills. Meanwhile, the collaboration enriches the content, as students tackle the central issues through cross-cultural perspectives. 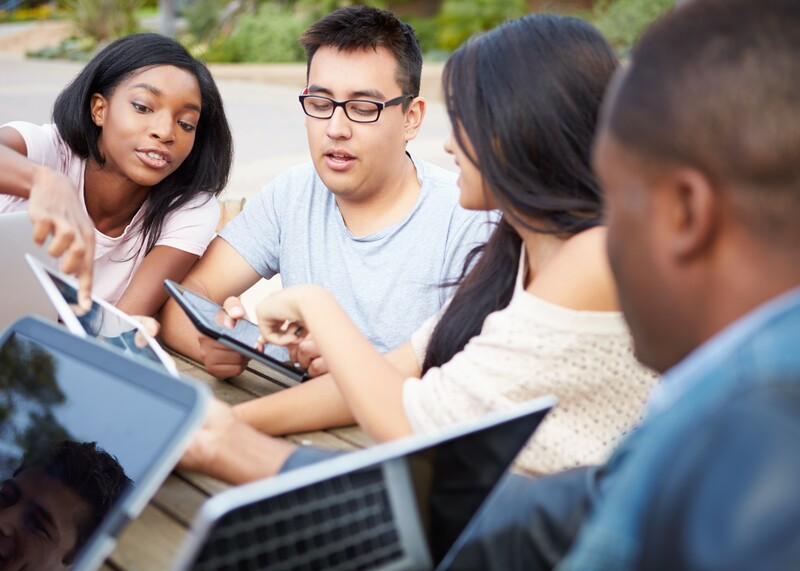 Students work in groups throughout the term, exchanging ideas online and building toward a final team project: an enactment of a “great debate” in real time, via Skype or Zoom. Through collaboration, students can better understand the content itself, notes Tuke. Often, they are working with peers who might be directly impacted by the classroom work. For example, in winter 2018, Tuke co-taught a course with UW Bothell professor Ursula Valdez entitled Great Rivers of the World, linked with universities in Peru and Egypt. UW students studying the Columbia River in the Pacific Northwest got to work with students living near the Amazon and the Nile — comparing local ecosystems and coming up with actionable solutions to improve them. Sandra Silberstein, professor in English, has been researching academic support for international and multilingual students at the UW for ten years. Recent surveys of faculty, TAs, and students yielded an overwhelmingly common response: international students enrich classrooms. Both students and instructors said that perspectives from non-U.S., often non-Western, students broaden the scope of learning. Many instructors reported changing teaching practices to adapt to a globalizing campus — and that these changes made them better teachers for all students. 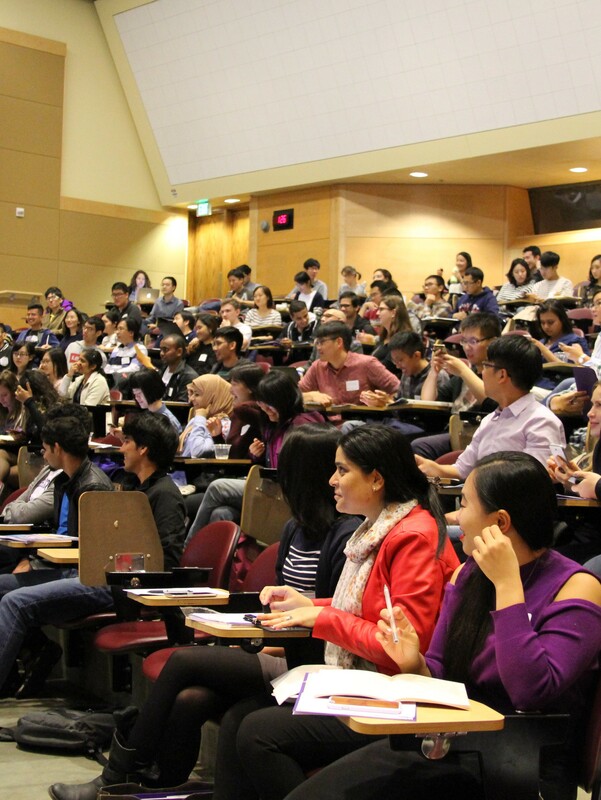 The student survey revealed the wealth of linguistic, academic and cultural resources that international and multilingual students bring to the UW. While around 40 percent of international and multilingual students attended high school in English, the survey reported approximately 70 home languages. 74 percent of respondents communicate in one or two languages in addition to English — most of the rest in more. At the same time, the research shows that international students are like other students at the UW. They graduate at similar rates with similar GPAs; they worry about financial support and getting into their majors; they wish they had more time to socialize. And they feel supported: 84 percent said that they would recommend UW to a friend. The Center for Teaching and Learning (CTL) offers a wealth of resources for faculty, TAs and staff educators to create more global and inclusive classrooms. These include web resources for teaching international students and for international TAs who teach at UW. Inclusive teaching is a shared area of expertise among CTL’s instructional consultants, who offer facilitated conversations and workshops on topics related to the teaching and learning of international students. CTL Instructional Consultants, Katie Malcolm and Karen Freisem at the 2017 International TA Conference. Photo courtesy of the UW Graduate School. CTL Instructional Consultant Katie Malcolm coordinates the International TA Program, which offers support for new international graduate student TAs. As Malcolm notes, teaching for the first time is challenging for anyone — and those challenges can be compounded by teaching in a second, third or fourth language, within a new culture. Participants in the 2017 International TA Conference, facilitated by the Center for Teaching & Learning. Photo courtesy of the UW Graduate School. 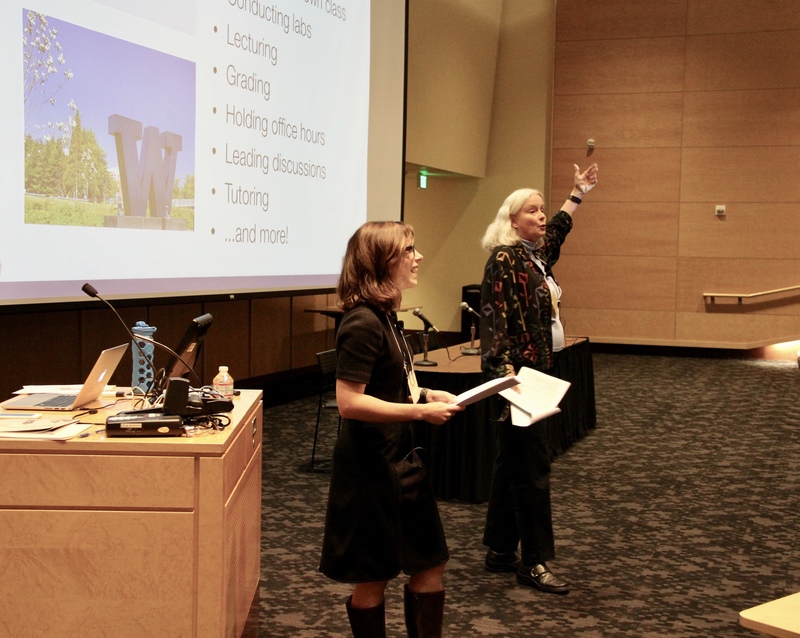 The International TA Program includes a set of workshops at the TA Conference every Fall, in which 150-200 international TAs generally participate. The conference is a further opportunity to share perspectives on classroom cultures, expectations and norms in the U.S and at the UW. In addition, TAs often talk about wanting to learn more about inclusive teaching, Malcolm says, but struggle to carve out the time alongside their own graduate work. The solution? Offer course credit. In Spring 2017, she launched an interdisciplinary one-credit course entitled Teaching in Global Classrooms, which attracted an interdisciplinary group of graduate students from Engineering, the iSchool and Chemistry (to name a few). The course is all about “leveraging resources that students bring, and using those to make the classroom more global,” she says. The CTL also offers departmental workshops for faculty and TAs on working with international classrooms. “We help teachers think about all the great resources that international students bring into the class, to enrich the learning experience for all students,” Malcolm says. 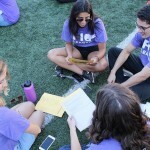 Commonly, instructors want to learn strategies for clarifying expectations, assessing student writing and making sure that class discussions are inclusive.